Any company or entity wishing to do business in Nigeria must be incorporated under CAMA. The requirements are as set out in the Act. The National Lottery (Amendment) Regulations 2007 further stipulated conditions for the registration of a company wishing to undertake lottery business. Games of skill relates to games that are played and determined on the players mental or physical skill. It is not left to chance which actually, is a distinguishing factor in the legal implications of both. 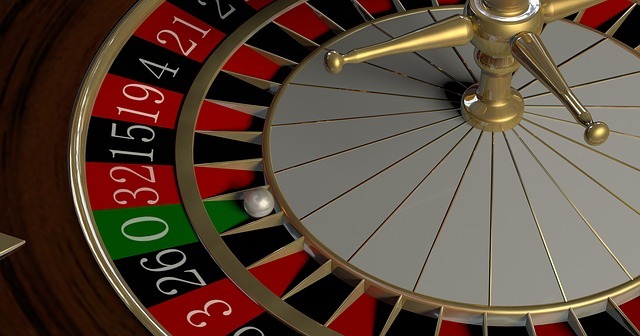 Game of chance is synonymous to gambling in some countries e.g. Germany thus, can only be carried out in casinos. Examples of games of skill are chess, poker, mahjong or simply use the class of the games which are arcade, puzzle, word, trivia, and card games. Respective laws in Nigeria defines or refer to lotteries to include both game of chance and games of skills. Games of chance are allowed under Nigerian Law. The relevant laws are the National law at the Federal level covering the entire country and respective individual state laws. For the purpose of these questions we will make reference to the National Law and the laws of Lagos State. The National Lottery Regulations Act merely glosses over the use of the internet or online lottery but makes reference to the use of various online interface. There is however a link with regards to online lotteries on the website of the National Lottery Regulatory Commission (NLRC), but the page (internet lottery) is still under construction. Lagos State has specific provisions governing this. Operational licenses are obtained from National Lottery Regulatory Commission in respect of a national license. To operate in Lagos State, also obtain license from Lagos State lottery Board or licenses from respective states. Lagos has its own lottery board. Lagos State provides for public online lottery and online sport betting. Though the terms and conditions that underlies a game of skill and chance between the players and company are basically contractual, they have to conform with regulations and laws for instance, under the National Lottery Regulatory Commission, they have to be approved by the Commission.Terms and conditions are also subject to the approval of licensing the States. The National as well as Lagos State among other things has a minimum age requirement. In all instances, terms and conditions should include among other things, the minimum age, and restrictions against certain persons who would be disqualified from participating, (i.e. minors and persons of unsound mind). It should be noted that although online adverts of game of skill and chance are permissible however, according to sec 2(b) the NLR 2007 Act, adverts must adhere strictly to government policies on social responsibility in designing, advertising and marketing campaign as relates to advertisement. It must also conform to the Nigerian Code of Advertising Practice made pursuant to the Advertising Practitioners (Registration etc) Act. THE CONSUMER PROTECTION COUNCIL ACT (1992 No. 66) CONSUMER PROTECTION (SALES PROMOTIONS) REGULATIONS 2005. The National Broadcasting Commission Act sec 2 deals with their power to regulate media advertisement. The relevant laws that might adversely though remotely affect games of chance and gambling would be the Criminal Code/ACJL. Chapter 22 of CCA, section 236 permits game of skill. It provides in s236 (2) that, “unlawful gaming” includes roulette, every game of dice except backgammon, every game of card which is not a game of skill, the game known as chacha and other games of cowries, and any game the chances of which are not alike favorable to all the players, including the banker or other person or persons by whom the game is managed or against whom the other players stake, play or bet. Further, section 20 of the National Lottery Regulations 2007 Act prohibits a lottery event in which the winner is chosen on the outcome of a sporting event. Nigeria runs a federal system where legislative and executive powers are divided between the federal and state governments. Judgment of the Federal High Court, dated December 7, 2009. Laws of the Federation of Nigeria. Lagos is the commercial capital of Nigeria. The NLRC was established by sec. 1 of the National Lottery Act 2005. The powers of the Commission are stated in Sec. 7.
d. Any grantee of a national license is free to carry on its trade between states without liability to obtain another approval or license from the State Government. The rules and mode of play are determined by the licencee subject of the approval of the Board. Code of Advertising practice is also referred in sec. 19 of the NLR Act. Sales promotion to be subject of registration. Cap. 7 LFN. 1992 No. 93 10. Notwithstanding the provisions of Part 5 of the Nigerian Code of Advertising Practice, made pursuant to the Advertising Practitioners (Registration, etc) Act as amended, no person shall carry out a sales promotion where the aggregate or total benefits or prizes offered are worth more than N250,000 (two hundred and fifty thousand Naira), unless the said sales promotion is registered by the Council and in accordance with provisions of these Regulations. the Lagos Administration of Criminal Justice Law 2005. (1) A person being the owner or occupier, of having the use of, any house, room or place, who shall open, keep or use the same for the purpose of unlawful gaming being carried on therein, and any person, who, being the owner or occupier of any house, room or place, shall knowingly and willfully permit the same to be opened, kept or used by any other person for the purpose aforesaid, and any person having the care or management of or in any manner assisting in conducting the business of any house, room or place opened, kept or used for the purpose aforesaid, is said to keep a common gaming house. (2) In this section, “unlawful gaming” includes roulette, every game of dice except backgammon, every game of cards which is not a game of skill, the game known as chacha and other games of cowries, and any game the chances of which are not alike favourable to all the players including the banker or other person or persons by whom the game is managed or against whom the other players stake, play or bet. (3) Any person who keeps a common gaming house is guilty of a misdemeanour and is liable to a fine of one thousand naira or imprisonment for two years or to both such fine and imprisonment. In addition to the Criminal Code Act, there are other gambling laws that govern the operation of gaming machines in Nigeria. There is the Gaming Machines (Prohibition) Act of 1977, which made it illegal to import or own any gaming machine. The exception to all of this is licensed land-based casino gaming establishments, which can offer slot machines and other casino games. Sec 3(a) ” Sport event means a football, basketball, baseball or similar game, or a horse or dog race on which pari-mutual wagering is allowed.” (i.e. betting against themselves rather than the house).